A new Utopia for Africa? 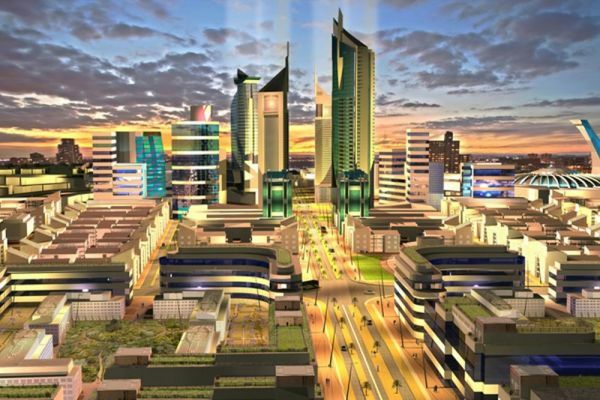 ”New Cities” are an African urban phenomenon that are appearing across the continent. However their social impact is unclear. The developments fail to foster a commitment to urban equality and citizenship. New cities are beginning to appear across the African continent. Promotional material is singular, promising glossy, aspirational spaces to live, work and play.These New Cities reflect past trends in Europe, taking the blueprint of Sir Ebenezer Howard’s Garden Cities in England. The social impact of these cities is currently unknown. However there are fears that the cities are profit-driven enterprises and that will appeal to a privileged minority. These videos attempt to market a Utopian image, yet appear to ignore the plethora of issues such as poverty and poor health that blight the continent. The governments supporting these project demonstrate an unwavering commitment to capitalism and a disregard for equitable solutions. Urban equality and citizenship should be a focal point of the New Cities. Eko Atlantic is a mixed residential and commercial planned community built on land reclaimed from the Atlantic Ocean. Konza Techno City aims to become a global technology hub and is situated 60 kilometres from Nairobi, Kenya’s capital and largest city. Tatu City is a planned community featuring that will include residential, retail, commercial, social and recreational developments. Modderfontein is an R84 billion infrastructure development of residential, industrial and commercial space. The development is situated on 1 600 hectares of land north of Johannesburg.